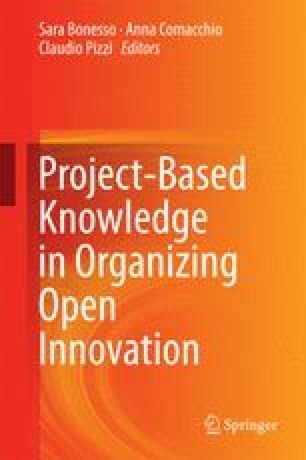 This chapter addresses some key open issues of a project-based approach to open innovation, drawing on the empirical findings and theoretical discussion of the previous chapters. After a brief discussion of the theoretical gaps in the previous literature, we provide arguments in support of the adoption of a project-level of analysis when studying how firms organize open and distributed innovation processes. The chapter tackles two main themes of a project-based approach, identifying fertile avenues for future research. First, it analyzes factors explaining why firms decide to open their boundaries and to organize in-house tasks and outside source activities on a project basis. Antecedents related to the knowledge features of a project are discussed. Second, the chapter draws the attention to the still under-investigated relationship between the project level and the firm level of analysis. It discusses the challenge firms face in managing effectively and efficiently product development projects across boundaries in the short term as well as in building organizational capabilities and knowledge at firm level in the long run.